Hopping with Xyron and Kaisercraft! Hello! I hope you all had a great weekend. 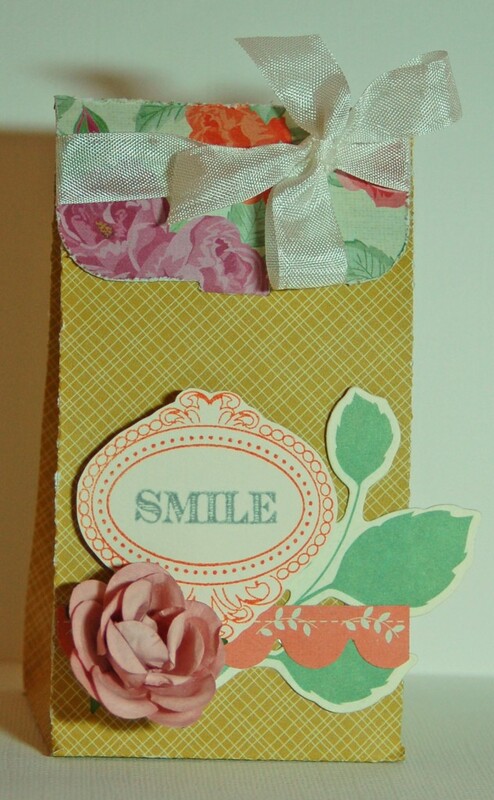 I am back this week with some projects for the Xyron and Kaisercraft blog hop! I immediately fell in love with the first Kaisercraft products I found at my LSS. Their wood books and project kits are my favorite thing ever, and their paper and embellishments are really high quality and fun to use. I seem to pick up a pack of their flowers or gems every time I hit the store. I have three projects to share with you this week, and I’m going to share them in three separate posts. Today I’m sharing a video tutorial that will show you how I made this cute little favor/gift box. I made this pretty quickly one day and I love how it turned out. I hope you enjoy the video (the first I’ve made!) and that it shows the process well. I was sick last week and kept putting it off, hoping that my voice would come back. I hope it doesn’t drive anyone crazy! Next postDay Two of Xyron and Kaisercraft! Nice little gift bab! The person receiving it would be pelighted for the extra time you spent creating it! Very Lovely. Nice little gift bag! The person receiving it would be delighted for the extra time you spent creating it! Very Lovely.